Will Aaron Harang Bounce Back? Aaron Harang is not guaranteed the #1 starterÃ¢â‚¬â„¢s role this year after back-to-back seasons with just 6 wins and double-digit losses each year. However, I am optimistic that Harang will have a bounce-back season for a couple of reasons. Second, since he missed the end of last year with a non-arm injury, he is coming off a season that put less mileage on his arm than prior years. This positive for Harang might have worked out as a negative for someone like Homer Bailey, who was ridden a little harder than youÃ¢â‚¬â„¢d like to see a young starter worked in September for a team out of contention. And third, Harang HAS been “the pitcher of old” early in each of the past two seasons. 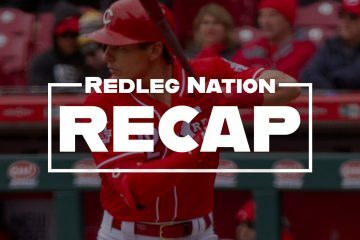 Two very questionable decisions by the Reds coaches may have contributed to HarangÃ¢â‚¬â„¢s poor aggregate performance over the past two seasons. I’m speaking of his bullpen appearance in an 18 inning game in San Diego, and his pitching after a two-hour rain delay against Houston to gain a W.
You can see a very clear difference in Harang’s numbers before and after each questionable event. The following combines these before and after periods from 2008-2009 and compares them to the Aaron Harang we knew from 2005-2007. I think Harang is going to have a very good year. I think he is due to put it all back together. It is a contract year. I think run support will be better, just through the law of averages and I think the offense will be an upgrade. Defense should be very good. The bullpen ought to be able to hold leads. He is going to have some good starters around him. It all bodes well. And if he does well, with Bailey building on the end of last year, Cueto bouncing back a little, Bronson being Bronson and the good shot we have for a pretty good 5th starter, it could be a very interesting year. Just heap it onto the pile of evidence in the case of the State of Ohio v. Baker. With the emergence of Homer, I’d slot Harang in as the #3 guy. Sultan of Swaff: With the emergence of Homer, IÃ¢â‚¬â„¢d slot Harang in as the #3 guy. Does anyone know if there is any evidence to support the notion that pitchers are best slotted 1-4 (assuming a five man rotation and assuming that the fifth man doesn’t have to be used as frequently because of off days, I’m not including them)? After the first series of the season (and excluding a playoff series), don’t rotations get jumbled enough that your not often getting a #1 vs a #1 match-up anyway? To me, the most important thing would be to maximize the appearences your best pitchers can achieve throughout the season. But, is there really any difference to the season if the Reds go Bailey, Arroyo, Harang instead of Harang, Arroyo, Bailey? Or even Cueto as the “#1”? Matt WI: Does anyone know if there is any evidence to support the notion that pitchers are best slotted 1-4 (assuming a five man rotation and assuming that the fifth man doesnÃ¢â‚¬â„¢t have to be used as frequently because of off days, IÃ¢â‚¬â„¢m not including them)? After the first series of the season (and excluding a playoff series), donÃ¢â‚¬â„¢t rotations get jumbled enough that your not often getting a #1 vs a #1 match-up anyway? As mentioned elsewhere, there’s very little correlation between starter slots…other than I do believe extreme style differences should be alternated. Most pitchers understand that hitting is timing, and that pitching is upsetting timing. Strategy wise, it may actually be better to not try to match up ace starter vs. ace starter. If a team has five good starters, it may be good to start #1 vs. #3 and so on to make the best use of wins against weaker competition. Since most teams play about .500 ball that could make a differnce in a race. After the first series of the season (and excluding a playoff series), donÃ¢â‚¬â„¢t rotations get jumbled enough that your not often getting a #1 vs a #1 match-up anyway? To me, the most important thing would be to maximize the appearences your best pitchers can achieve throughout the season. Steve has already given a more thoughtful reply to the ace matchup question – I’ll just say that I see no advantage to matching up the other team’s ace with your ace. As far as the “numbering” of the starting pitchers goes, you’re right, it only matters for the first series and after the All Star break (and playoffs). Otherwise it’s just symbolic. During the season, starting pitchers are only “ranked” inside of people’s minds, and the ranking varies during the season as pitchers go hot and cold. Number 5 is different, because as number 5 you can get skipped now and then. @Matt WI: One thing I noticed is the need to break up pitchers who have similar stuff. Milwaukee tried this last season and it cost the Brewers at least one series against the Cubs when Yo didn’t even pitch. Matt, that is really an interesting question. Anecdotally, I can remember cases where rotations have been juggled to get that 1 versus 1 matchup, but I have no idea how frequent that is. Given how everything in baseball gets studied nowadays I have to imagine there is something out there, but my weak google skills did not locate it on a quick search. You would hope that whatever his thoughts on how to treat pitchers generally, the two examples above will be enough to convince Dusty that Harang specifically needs to be monitored carefully. We will see. Agreed. I do think Harang can be great again if taken care of (and those things called runs get scored every now and then). GRF: You would hope that whatever his thoughts on how to treat pitchers generally, the two examples above will be enough to convince Dusty that Harang specifically needs to be monitored carefully. We will see. I may be in the minority, but I’m not convinced Homer will consistantly be that #1 we so desperately want him to be. He’s still young and relatively inexperienced. How many times have we seen someone finish the year looking like a world beater, everyone assumes that will continue the next year and they disappoint. I hope I’m wrong, but I expect to see more growing pains from Homer this year, with flashes of brilliance laced in. RiverCity Redleg: I may be in the minority, but IÃ¢â‚¬â„¢m not convinced Homer will consistantly be that #1 we so desperately want him to be. HeÃ¢â‚¬â„¢s still young and relatively inexperienced. How many times have we seen someone finish the year looking like a world beater, everyone assumes that will continue the next year and they disappoint. I hope IÃ¢â‚¬â„¢m wrong, but I expect to see more growing pains from Homer this year, with flashes of brilliance laced in. I agree. I’m a Bailey fan, but I, too, think it’s foolish to count on Bailey having acheived ace status. I think it CAN happen this year, but that should be a pleasant surprise rather than the expectation. I don’t think it would be best to put undue pressure on Bailey by making him the “number 1 or 2” starter after 7 good starts to end 09. Let him chill (possibly marinate) at the number 4 spot. To Matt in WI’s point about order of rotation…I’m quite certain I’ve read both Rob Neyer and Keith Law say that beyond the first week of the season and the first week following the ASG there is no significance to the rotation order assuming you remove the 5th guy. Well, there are reason (as illustrated) why Harang has not been himself these past few years. There is no reason to believe he won’t be a dominate pitcher again. He’s not old for a pitcher, nor into his declining years. One more thing keeping him from wins the past two years is that he has been the number 1 pitcher facing more number 1 pitchers than anyone else on the team. Therefore, the run support wasn’t there for him. Of course I also think those two things have hurt him too, but his run support has been so terrible that he basically has to shut out the other team to win. I expect him to bounce back a little bit around a 3.70-4.00 ERA range 12-15 wins (if the offense helps at all). I would love to see him get to the 3.50 range though. I also think there is a legitimate chance that the Reds will have 4 guys in 12-15 win range if the offense is any better than last year. Opening Day Starter is an honor, a vote of confidence. If I were the manager (I can dream, can’t I??) I’d definitely give the day to Harang — not because he was the best on the mound at the close of 2009, but because as you-all have posted here, the reasons he wasn’t are so varied and weird and somewhat beyond his control. If I was to pick one Red to have a monster year it would be Aaron Harang. I don’t know him, never met him but he comes across as one of the better people around baseball. I don’t know what is causing the struggles he’s had the last two years but here’s hoping that they don’t occur this year and the big guy is the monster from 2007. Opening Day is typically a reward for being the best the previous year. Harang doesn’t deserve it regardless of the reason. In both San Diego and Houston maybe he needs to take control himself and say liten I’can’t go multiple inning on 2 days rest or come back after a 2 hour delay. Think about his own well being rather than having your alledged #1 take one for the team especially when his own well being is what is good for the team. Hopefully with Price in conrol instead of Jaba the Pole, Harang won’t be placed in that position. Maybe Price will have the sense to tell Dusty he is stupid. Since his contract runs longer than Dusty’s maybe that gives him a little clout. Lets give Arroyo some love here. Arroyo 15 wins 2 years in a row. Best ERA among starters last year. If he has an average Spring he should open it up. Also, I think the only time juggling the rotation makes alot of sense is when you have lefties and righties in the rotation or down the stretch in September. @Mark in CC: I totally agree. Arroyo was one of if not the best pitcher in the second half last year. He deserves to take the mound opening day. If I’m constructing the rotation I’d go Arroyo, Cueto, Harang, Bailey, and one of Maloney/Owings/Lehr. Chapman I’d have in AA to start, Wood in AAA, Thompson in AAA. The problem with Harang these past two seasons has been mostly mechanical (and the run support curse of course)IMHO. Its been shown on TV and mentioned on the radio ad nauseam that he hasn’t been loading up on his back foot. He mentioned that he finally noticed it late last season IIRC and I think his numbers/stuff were better. Fay just updated his blog with a blurb(? )about how Price had talked with Harang about these flaws he saw on tape and Harang said he was already addressing those very things. If the Reds could get him out to maybe a 4-0..4-1 start and get his confidence up, I think we might have that warhorse back we all miss. nllspc: The problem with Harang these past two seasons has been mostly mechanical (and the run support curse of course)IMHO. He mentioned that he finally noticed it late last season IIRC and I think his numbers/stuff were better. Very interesting. And as I just posted (while you were posting), his numbers and stuff definitely were better at the end of his 2009 season. This is why I didn’t want to see him traded. I too feel optimistic about Harang. I was already roughly familiar with the numbers that Greg posted. I’m not sure that last year’s “one more out” after a rain delay hurt his arm, but – as they say – numbers don’t lie. but in 28 innings, he struck out 27 and walked 9, allowing 25 hits with a 2.86 ERA. Most of all, he looked good again – his slider had bite, his fastball had movement and topped out at 94 mph one game. That may have been a mirage, but I don’t think his arm has been ruined. I don’t look for him to be a Cy Young candidate this year, but I expect a solid year, maybe 14-15 wins. Yeah, I remember he looked really well in his last starts of the season last year. I remember listening to Brantley talk about what had changed. He was talking about Harang getting more push from his lower body. It was definitely evident that he had changed something and he wasn’t as upright when he was pitching as usual. It’s a shame his season was cut short. I was actually at the game in Pittsburgh he was rushed away from. Dusty, as we all know, is Old School. Part of that is “giving your starter a chance to win the game” and letting the young guy “learn to work his way out of trouble.” But of these tendencies can work sometimes but can also lead to trouble. Overall (even with Bailey throwing a lot of pitches late last year) Dusty has not overworked our young starters. Hmm, I have to qualify that again – 6 weeks before Cueto went on the DL last year, it was clear he needed a rest, but Dusty kept sending him out there every 5th day. Oh well, let’s just say I don’t blame the Volquez injury on him. But where Dusty really gets to be Dusty is ignoring pitch counts for his veteran starters. 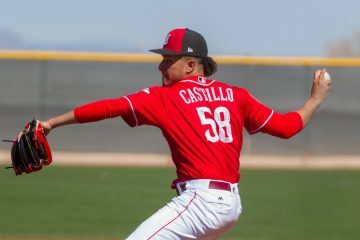 For Arroyo this is OK, with his style of pitching he doesn’t put a lot of strain on his arm, and he also does not hesitate to say “I’m gassed, take me out” when he feels that way. Harang is a true horse, he can throw a lot of pitches, but I don’t believe he would ever say: “Take me out.” This leaves him open to abuse. pinson343: Oh well, letÃ¢â‚¬â„¢s just say I donÃ¢â‚¬â„¢t blame the Volquez injury on him. Pinson…blame Dusty for Volquez, too. He did to Volquez in 2008 at the end of the season, what he did to Bailey at the end of 2009…only Volquez wasn’t getting anybody out and giving up homers. agree with most of the posts here, i think harang could rebound nicely, but is getting older, and don’t expect him to be an ace. i think the strength of the reds rotation this year is it’s depth. while bailey could emerge as a true ace, and cueto could also take a big step forward, i expect them both to have some struggles. i think we could have 4 pitchers in the mid 3s to low 4s in ERA, and that would be close to a miracle for the reds. i’m hoping wood, maloney, or leake wins the 5th spot, as i think they’re the most likely to keep it under 5. I doubt we’re going to have a world beater in the rotation this year, but we could definitely have a good shot at winning every night out. Who has the best shot of winning opening day vs. Chris Carpenter and the Cardinals? IMO, that pitcher is still Aaron Harang. I’m a Harang believer. I caught some glimpses of him in mediocre outings showing some amazing command fighting through lucky foul-offs and tough umpiring. It wasn’t that he looked like an ace but he was showing rare skills (the ones pitching coaches can’t help with too much). To return to ace form, he needs to get his mechanics in order. I won’t put it as vulgarly as my father did but he needs to stretch out and not be so upright, get some drive, loosen up, etc.. Price’s comments are comforting. The defense will be sound, so I think a lower ERA is in the mix. As I recall it, Dusty let Harang go back out to get the win after the rain delay basically as a favor to his pitcher. Harang badly wanted to get that win and told his manager he felt fine, and Dusty trusted him. We can all question Dusty’s decision-making her in our Internet vacuum, but it’s different when you’re dealing with real people in the real world. That said, I’ve been encouraged to hear Dusty make several comments so far that indicate he’s going to defer completely to Price re: the pitchers. I think we’re all really going to like that guy. I didn’t single out Dusty Baker in this. They have a pitching coach, too. I actually think Baker’s/Pole’s usage of the young starters has been fine. They’ve been less cautious with Harang. Players can ask for anything under the sun. It is still the coaches’ job to make the best decision for the team and the player. I still don’t see any benefit to having him throw for 2 hours under the stadium to stay warm for 1 out after a rain delay. I think Harang will be fine. I have fewer concerns about him than any of our other starters, outside of maybe Arroyo. Aaron has been at this for a while and is still young enough to rebound. I think Price brings the right type of change for the rotation. I’m curious to see how he handles the relievers.